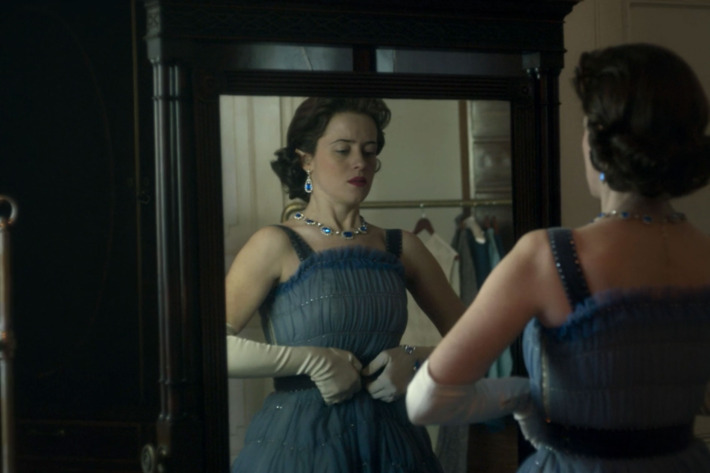 The second season of The Crown transitioned from the 50’s to the 60’s and through that so did the hemlines and fashion. 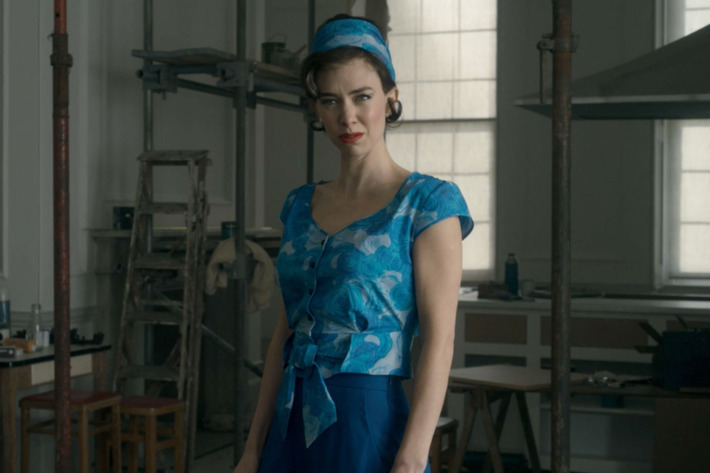 For the second season, costume designer Jane Petrie came on board to create some of the memorable looks seen in the show. Whether it was designing costumes for a Royal Wedding, a state affair, or introducing America’s most iconic first lady Jackie Kennedy, Petrie created a look this season from gowns to a bohemian setting for Princess Margaret’s artsy mohair coat. Petrie talked about designing the looks of the hit Netflix drama centered around Britain’s Royal family. Talk about the transition from season one to two and you taking that on after Michele Clapton did season one? It’s going to feel different because it was me doing it. We were entering a new decade and I felt that I could be using my own instincts and my own research and my own take on things. There wasn’t really an overlap. The only area where I did a deliberate overlap was when Phillip went off on tour, I used one of his suits because it felt like closure on season one when he was waving on the steps of the plane. I thought it was a nice thing to do, use one of the season one suits when he was going off. When he came back, he was well into season two. The rest of it was about the time and trying to get The Queen, who was by now a mother and quite embedded in the palace and the life of the household. Reflected against Margaret who was desperate to get outside and join in the forward propulsion of the 1960’s and the rise of the counterculture that she was attracted to. The transition from season one to two is fairly straightforward because we’re in a new decade. Margaret’s look was really fantastic this season as you really see that transition. Vanessa Kirby and I could not wait to get going on the season and Margaret leaving the palace and charging on into the outside world. It was really good. Finding the fabrics and the colors, they were much more acid colors for her. I used black which isn’t a royal color by any means. They wouldn’t have worn it and only worn that at funerals, but it felt an efficient way to pull Margaret into the bohemian counterculture of this jazz world that she was attracted to. I love the Margaret colors, they are so mighty. That coat she wears when she sees Tony for the first time. When I saw the cloth, it made your mouth water and it had to be used. By the end, we probably had far too many fabrics and not enough costumes by the end, but it was such good fun finding the Margaret cloth. How did that coat get made? We bought the fabric for that after finding it in London. With the nature of mohair and the color, you wanted a simple clean cut because you didn’t want anything to get in the way of that. That helped bring her into the 60’s and the shapes she was leaving behind. Everything she was wearing before was always waisted before. It would drop out at the waist and that was the biggest change for her, the waistline and shoulder line was different. It wouldn’t be The Crown without a royal wedding. What was that like and putting that altogether? There was a mental leap and a mental challenge when I read the script. It said on one page of the script. It was a tiny page at the back of the script that was the biggest work of that episode. That’s what The Crown is, it’s full of throwaway lines that you read through it. You realize that the one line, like “The Ambassador’s Ball.” Hold on. Where are they from? All over the world. Oh, OK .Ballgowns for everyone and they’re representing all these different countries and it’s just this one line. When I first read it, I thought if they only show the heads and shoulders of all these people, it’s an awful lot of costumes. In the end, it was shot really great, but on the page, it was such a tiny bit. Finding the fabric and doing that was really good, but we were up against the clock. What was the timescale for that particular one? We knew it was coming. 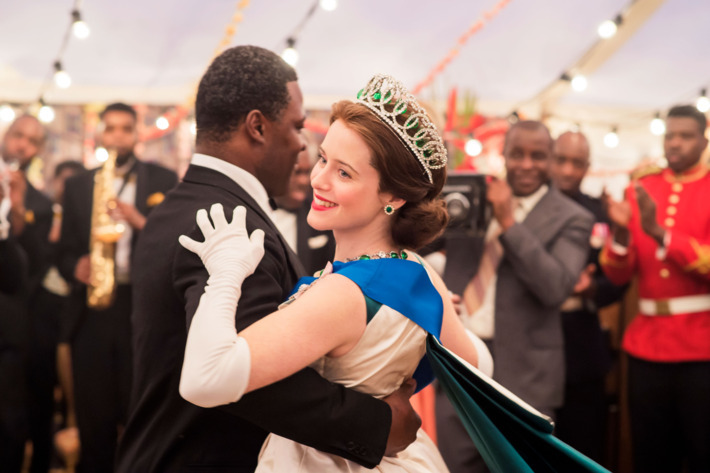 It was early on in the making of The Crown when we shot it. I was still learning to work at breakneck pace. It felt like Margaret’s dress got done in a week and a half. I was behind. There were so many decisions to make and so much fabric to find. It took me a wee while to be quick enough to do the job, I’m sure it was the same for Michele. Anyone doing it for the first time, it’s unbelievable how quick it is. You also have American royalty entering with Jackie Kennedy making an appearance. Was she fun to do? Yes! I loved that. I loved those episodes. I’ll tell you what the challenge was there. In some way, there’s a reflection between what we’d be seeing with her costumes. Between The Kennedy family arriving at the palace and bringing this breath of fresh air. People didn’t fly and America was coming to them. Here’s this modern family and it would have been so exciting to have the Kennedy family come to Britain. I’m also trying to say, visually that everything outside the palace is modernizing at a breakneck pace. Margaret wants to be a part of that. I didn’t want to cross-pollinate those storylines of modernity. I kept them very separate when the Kennedy family came in. They’re both bringing in modernity and they’re both the most iconic women of their time. We’re seeing it in a very concise beat. What’s your process in designing the private moments? The challenge is to make it authentic at all times in terms of protocols of the palace. That’s what we find fascinating because everyone wants a look at how that works. I had done so much research, I felt I knew the characters. You’re going on instinct and you know who you are.